Montgomery and McCleery have a large selection of private rental accommodation. We offer Tenants options to suit individual needs - from rooms, bedsits and apartments to family homes. We pride ourselves on our friendly approach and expert knowledge of the local market. We rent homes not just houses!! So… USE MONTGOMERY AND McCLEERY TO FIND YOUR NEW HOME. We know that moving home is stressful, we are here to guide you, and ensure that the entire process of renting your new home runs as smoothly as possible. Having viewed and selected a property what should I do next? When do I collect keys? What else do I have to pay for besides the rent? How do I pay future rent? How do I work out the monthly rent payment? 1. Having viewed and selected a property what should I do next? You will be asked to complete a tenant application form. This should be completed by each adult who will be in the rental property. Also required are two written references to confirm your ability to meet the rental commitment. These could include, your employer, previous landlord, your bank or building society, doctor, solicitor or accountant. These should then be returned to our office by hand, post or email. Normally two working days depending on how quickly you supply the required information. On receipt of the information we contact the Landlord and discuss your application. Once the decision has been made by the Landlord we will contact you by telephone. 3. What do I need to pay before I move in? You will have to pay your security deposit and the first installment of rent. Our staff will confirm what that payment is. Please note that the first rent payment and deposit will be required to be paid in cash when you submit your application form. 4. When do I collect keys? Once your application has been accepted by the landlord, your deposit and rent has been paid, we will then agree a date for signing. On that date a tenancy agreement will be signed and keys handed over. 5. What is a tenancy agreement? It is a legally binding document between you and the landlord. It states the amount of rent. It states the length of the tenancy, your rights and responsibilities and your Landlords rights and responsibilities. Your agreement will be for six months and there after month to month. Please note that all tenants are joint and severally liable for all conditions within the Agreement. This means that each person signing can be called upon to pay all outstanding rent, interest, cost of repair etc. 6. Who is responsible for contacting the utility companies after I move in? It is your responsibility to contact the utility providers and provide them with the relevant meter readings to open an account. Please note that it is important that you contact the utility providers within 48 hours of tenancy to avoid termination of supply. This also applies when you are vacating the property and you must contact the utility company to make them aware of your vacation date. Failure to do this may result in a new tenant taking up occupation and using the utility under your name and you will be billed because the utility company still has your name on the account as the tenant. Some utility companies have a charge to have the service activated, this is the tenants responsibility to pay this. This should be negotiated with the relevant utility companies before moving in so as not to have an interrupted supply. This is solely the tenants responsibility. 7. What else do I have to pay for besides the rent? The tenant will also be responsible for the utility bills such as water (if billed), gas, electricity, telephone and T.V licence during the course of the tenancy applicable to the property. 8. How do I pay future rent? All future rents will be paid by standing order on an agreed date. Please note that the standing order will be required to be signed by you on the day you sign for a property. 9. How do I work out the monthly rent payment? The best way to work out the monthly rental payment is to multiply the weekly rent by 52 weeks and divide by 12 months. This will give the calendar month payment due on the same date each month. 10. What happens if I want to stay on or leave early? Most of our agreements are for six months and thereafter month to month until terminated by not less than four weeks notice in writing given by either party. Tenants abiding by the terms within the lease, i.e. 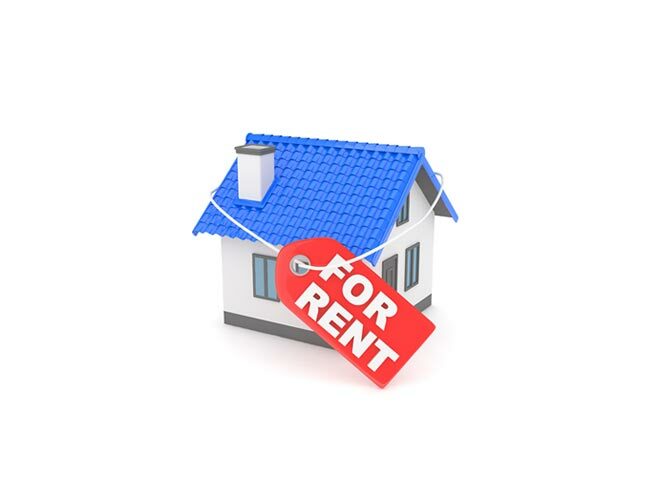 paying rent on time and looking after the property are welcome to continue their tenancy. If you leave before the end of the term you will remain responsible for the rent until the end of the term agreed. Any increase in rent will be notified to you in writing as per your agreement.